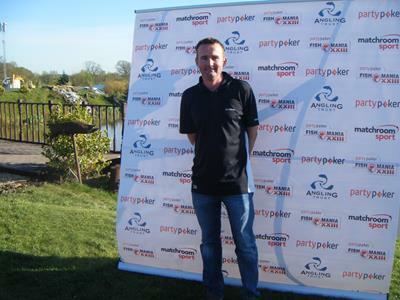 The latest Fish ‘O’ Mania qualifier was held at the fabulous Partridge Lakes complex in Cheshire on Wednesday 20th April 2016 with a full house of 200. Several reserves failed to pick up a spare ticket at the draw which is a clear measure of the venue’s popularity. The weather was on its best behaviour and generally the fish were in a totally co-operative mood. As always the draw was dominated with speculation about where the winner would come from with many shouts of “that’s a flyer”. The reality was that with so many fish in the various pools there were, literally, loads of potential winners. The results strongly bore this out with three ton-plus weights and a further four over 90lb. Only 20lb separated the top seven anglers. Of the 20 10-peg sections only three were won with less than 50lb and the majority needed over 70lb. 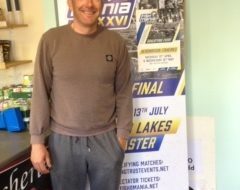 The winner was local angler Paul Blinkhorn who put a brilliant 115lb 6oz on the scales at Covey peg 18. Paul used worm and caster very sparingly to take F1’s to 4lb, plus some big ide and said at the end it was the right peg on the right day. He is looking forward to the Final on the 8th and 9th of July. 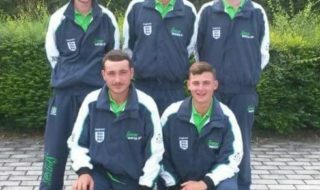 Runner-up and second to qualify joining was David Woodworth. He drew Holbar 38 and took carp to 8lb and some big F1’s in his weight of 103lb 9oz. He found he had to constantly change tactics to keep fish coming. 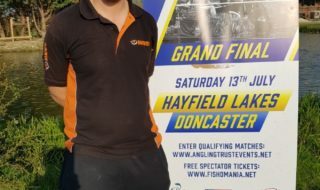 David has had a number of near misses in Fish ‘O’ Mania’s over the years so is delighted and relieved to finally qualify. Simon Stott was third with 100lb 12oz at Ribbon peg 4 taking a mix of F1’s, ide and chub fishing shallow with caster. Fourth was Shaun Cooke with 99lb 13oz from Covey 96. Fifth spot went to Craig Coldstraw with 95lb 12oz from Covey 149 and sixth was Tony Curd with 94lb 14oz from Spey 22. The next Fish ‘O’ Mania heat heads to Messingham Sands, North Lincs on Saturday 23rd April 2016.